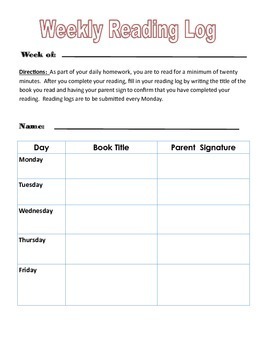 A weekly reading log for students to track reading completed at home. Includes a column for a parent signature. Great addition to homework packets!